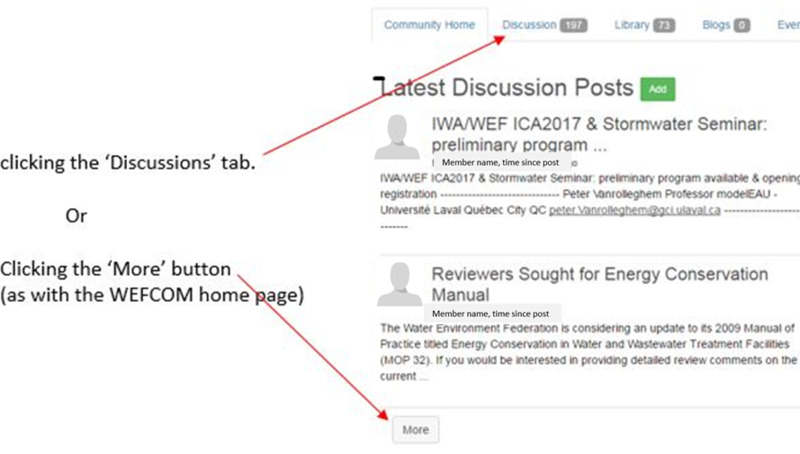 A limited number of discussions are visible on your community landing page. By default, the discussions are listed by date, most recent first. Sorting and navigating the resulting list of discussions works just as it does when accessing discussions from the WEFCOM home page. Only the Community column is missing.